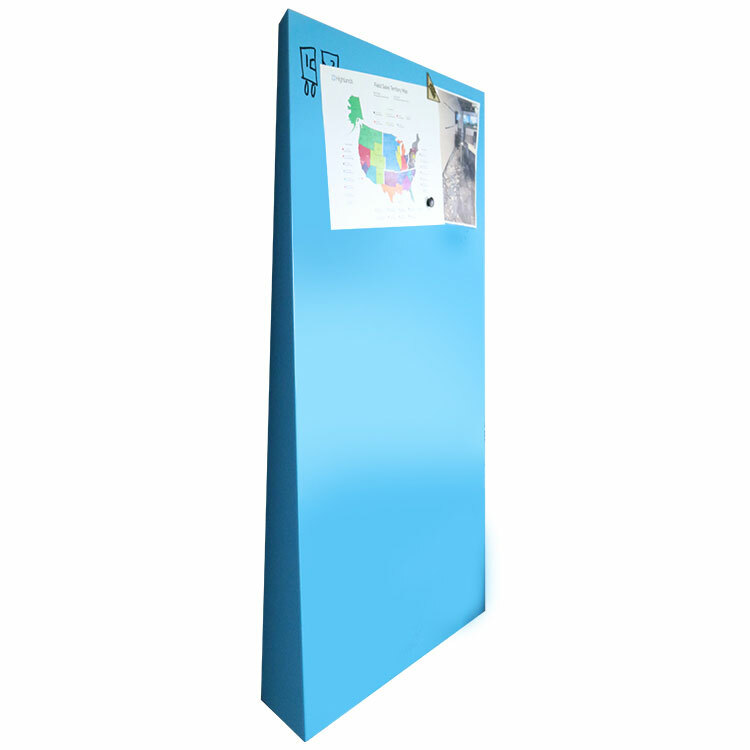 Designed to make common areas uncommon, LINK Wedge dry erase board combines an exciting shape with bright colors, challenging the way you think about whiteboards. 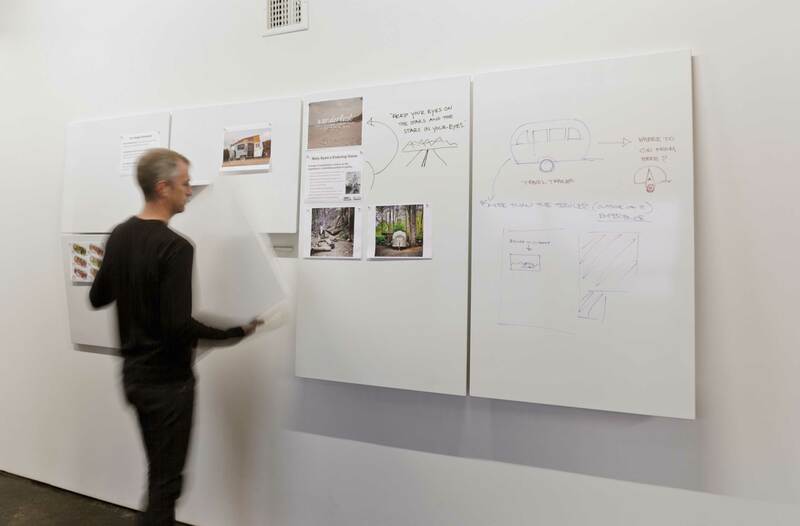 The dry erase powder coat finish on a beautifully formed steel surface is the perfect dimensional board that draws attention and creates visual interest in your office. Size: 24" x 30" or 48" x 30"
Intentionally designed with a 5-degree angle off the all, LINK Wedge is designed to make writing easier. 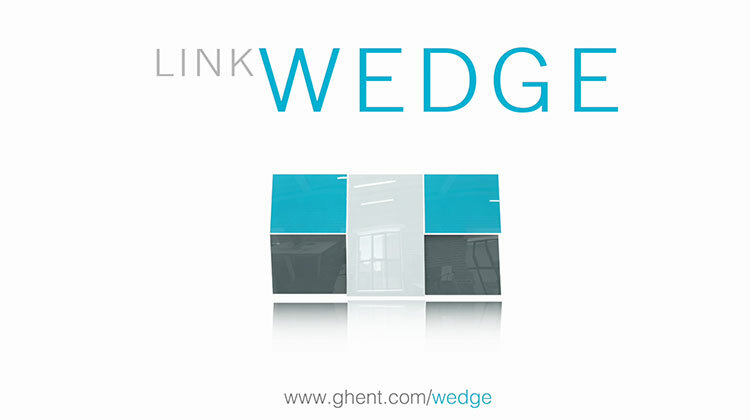 LINK Wedge is inherently magnetic, ergonomically designed, and completely configurable. 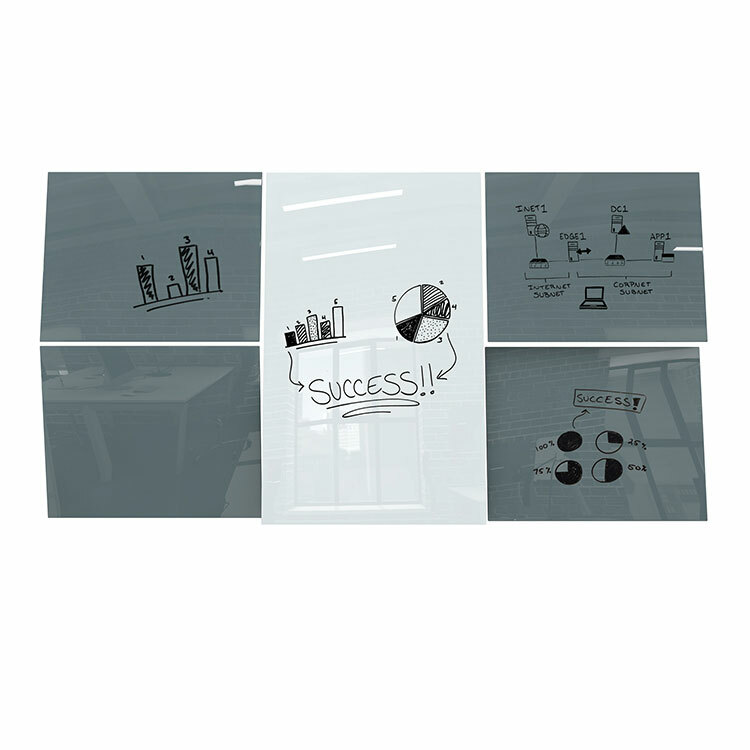 Combine multiple to make an interesting dry erase surface. 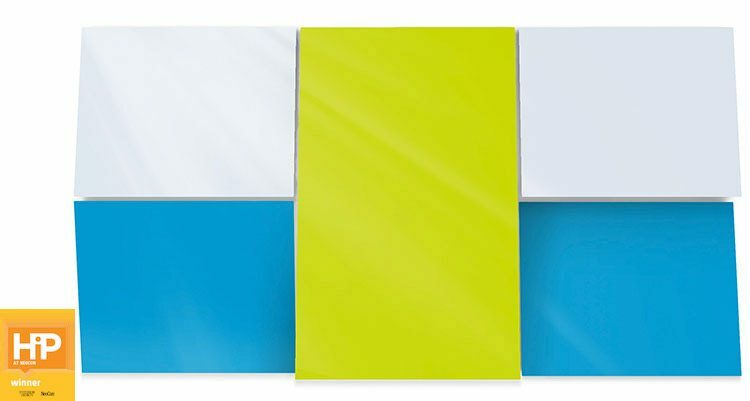 Create a focal point in your conference room or break room with multiple Wedges in different colors. Offered in 7 different colors, 2 different sizes, can be hung 2 different ways. 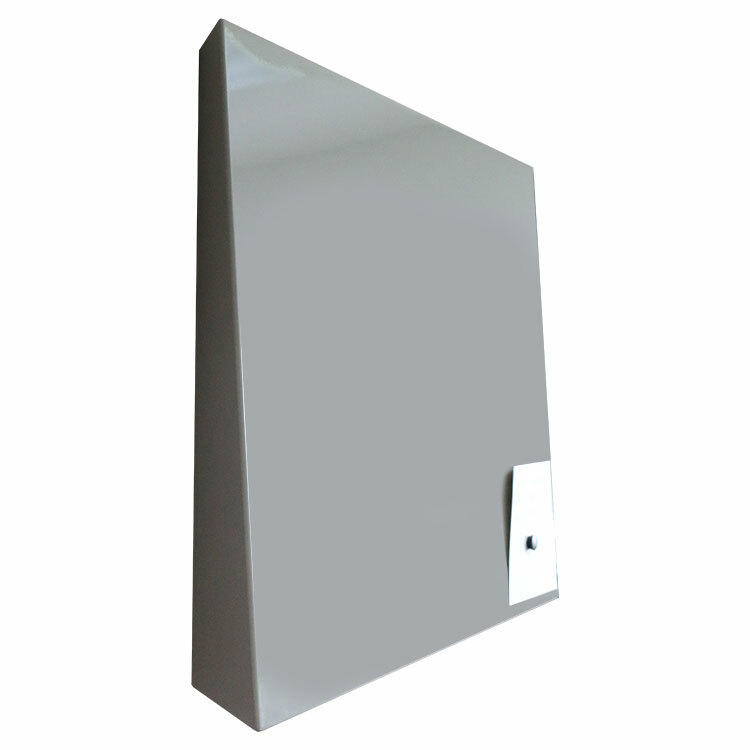 Each LINK Wedge Whiteboard carries a 10-year manufacturer warranty and is made in the USA. 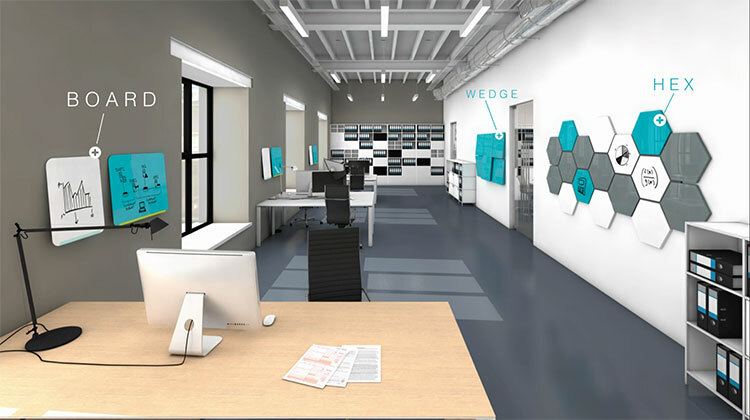 Conference rooms don’t have to be boring; enter LINK Wedge. Designed specifically to be magnetic, ergonomic and configurable. The simple cleat-hanging system makes it easy to configure a design all on your own. Get creative with the layout by using the small and large sizes next to each other to create dynamic and functional artwork. Available in two sizes and seven standard colors. Custom colors also available. LINK Wedge can be hung with the angle side or the flat side pointing upwards, giving you even more creative freedom. Each LINK Wedge comes with magnetic accessories to allow for ultimate flexibility, one marker and one microfiber cloth. 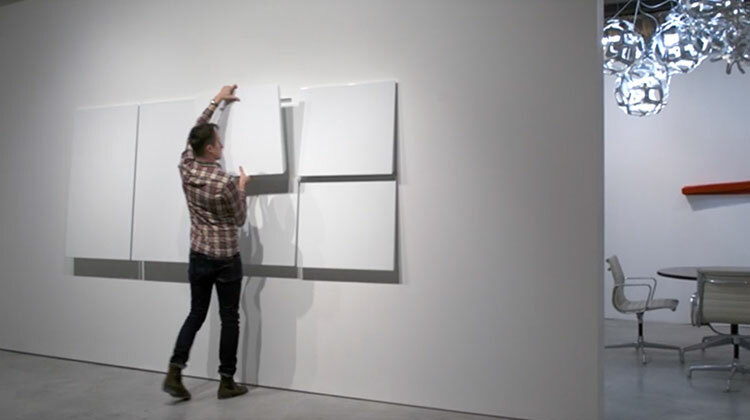 Each LINK Hex whiteboard carries a 10-year warranty and is made in the USA.